1. The starting pitching is still a major issue. “Achilles heel” is starting to become a fair label for the Maryland rotation. The problems came early for Willie Rios and late for Bobby Ruse. But regardless of when they happened, they happened. The combined line for those two: 4 IP, 9 H, 10 ER, 0 K, 2 BB – ERA of 22.50. The other three pitchers that have had a chance in the rotation haven’t faired much better. Pitching coach Jim Belanger has some decisions to make in regards to the future of the rotation. 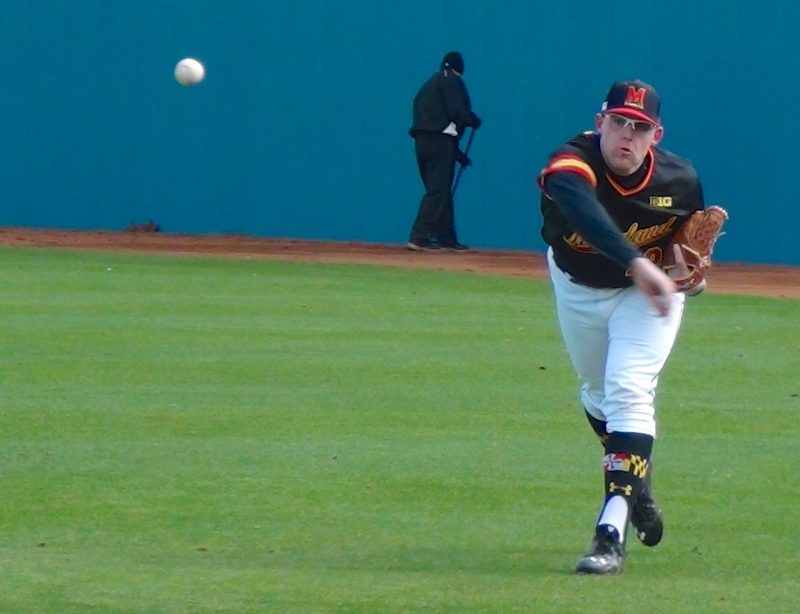 Guys like Ryan Selmer and Tayler Stiles have given Maryland some effective length out of the bullpen the past few weeks, but Stiles struggled in the weekend rotation earlier in the year and Selmer got knocked around this weekend, too. While it’s still early and the rest of the team has been relatively awesome, no one can win in the postseason without consistent, front-line starters. Whether it’s Rios, Ruse or someone else, somebody must step up for Maryland to accomplish anything in 2015. 2. Michigan is better than their record indicates. The Maize and Blue entered this weekend with a 12-11 record, despite ranking near the top of the conference in most statistical categories. Turns out the stats were a better indication of their worth than their record. Erik Bakich’s Michigan team played like his old Terps teams. They pitched, defended and showed they can shock good teams on the precedent of hard-nosed mindsets and aggressive pitching. Michigan’s pitching staff handled the Terps’ bats better than any team all year. 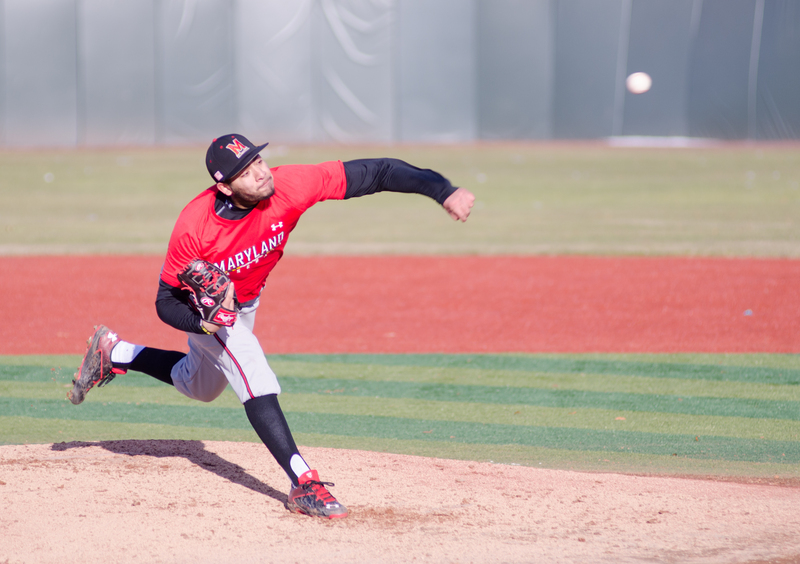 They held Maryland to 2.0 runs and 5.6 hits per game, led by Saturday starter Ryan Nutof, who held the Terps scoreless into the eighth inning. We’ll soon find out how much of a factor the cold weather and unfamiliar confines in Ann Arbor was, as the Terps return home for an eight-game homestand this week. 3. Mike Shawaryn has been the saving grace. While labeling a team’s ace as the MVP might not be a bold statement, Shawaryn has certainly been that in 2015. Maryland has won 6 of his 7 starts while the rest of the rotation has floundered. He allowed just one run on five hits over 7.1 innings in the first game of Saturday’s doubleheader. Shawaryn has upped his strikeout total while consistently throwing all three pitches for strikes and has proven to be one of the best pitchers in the country. After a difficult weekend where the main bright spot was Shawaryn’s game one performance, the prevailing question becomes – where would Maryland be without him?